Heath A. Thomas is dean of the College of Theology and Ministry and professor of Old Testament at Oklahoma Baptist University. 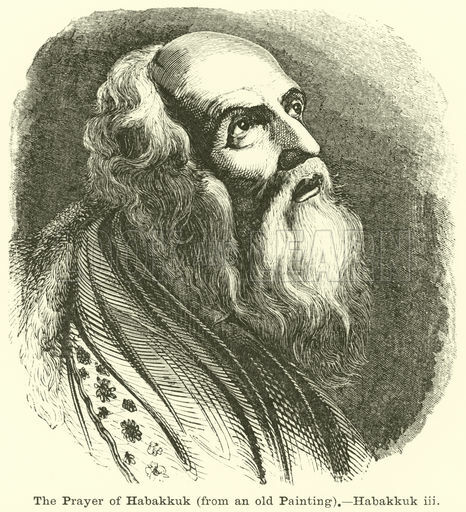 He has written or edited several books, including A Manifesto for Theological Interpretation. The book of Habakkuk engages readers with its concerns of justice, pain, prayer and the hope that God will make things right. This ancient book, then, has the capacity to speak to modern readers . . . if they will take the leap and listen to its words! Habakkuk in the Two Horizons series positions its readers to make that leap. This volume traverses the ancient horizon of Habakkuk to the present horizon of the modern world, all the while discovering and discussing insights about God, his world, the life of faith, and barriers to faithfulness before God. This volume analyzes the book of Habakkuk theologically. This statement may not help as much as one would like, however, because a “theological” commentary can mean many things. But the goal of this commentary is to explore the book of Habakkuk in such a way that it helps readers to hear God’s address through this prophetic book. Now, this goal does not mean that the commentary avoids the rigors of biblical criticism. Rather, attention is given to historical, philological, and grammatical features that help to give a fresh reading of the book. Readers will notice that this commentary is current in its engagement with recent scholarship on the Minor Prophets in the continental tradition. This feature enables readers to gain access to how or whether Habakkuk fits in a book called “the Twelve.” Although the approach of the commentary clearly is not a work of redaction-criticism, it speaks with a knowledge of that conversation, enabling links between prophetic books and the scholarly conversation. 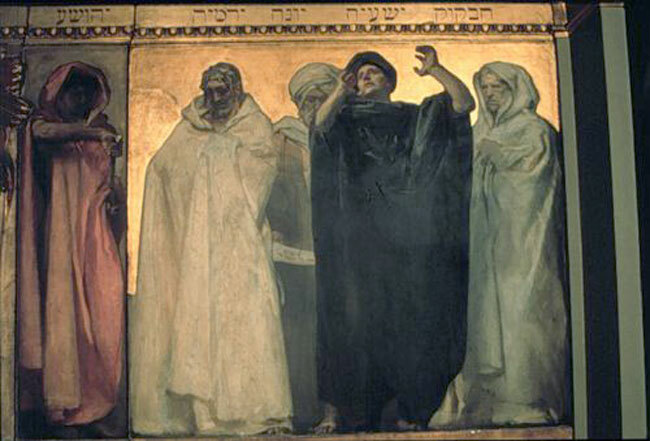 A portion John Singer Sargent’s Prophets. From left to right: Joshua, Jeremiah, Jonah, Isaiah, Habakkuk. Insights that emerge from biblical criticism facilitate a robust theological interpretation that is informed by both biblical and systematic theology. This means that the commentary reads Habakkuk in the light of the whole of Scripture (biblical theology) and with the wisdom of ancient and modern theologians (Jerome, Chrysostom, Theodoret of Cyrus, Augustine, Nicholas of Lyra, John Calvin, Martin Luther, Martin Buber, Abraham Heschel, Karl Barth, Karl Rahner, etc.). A reading that wrestles with Habakkuk’s major focus, which is God himself and humanity’s relation to him. The inclusion of theologians is not faddish but fundamental to the kind of reading that progresses in the commentary: a reading that wrestles with Habakkuk’s major focus, which is God himself and humanity’s relation to him. In this way, it is apparent that the traditional work of biblical criticism is recalibrated within the larger aim of hearing God’s address in the prophetic book. 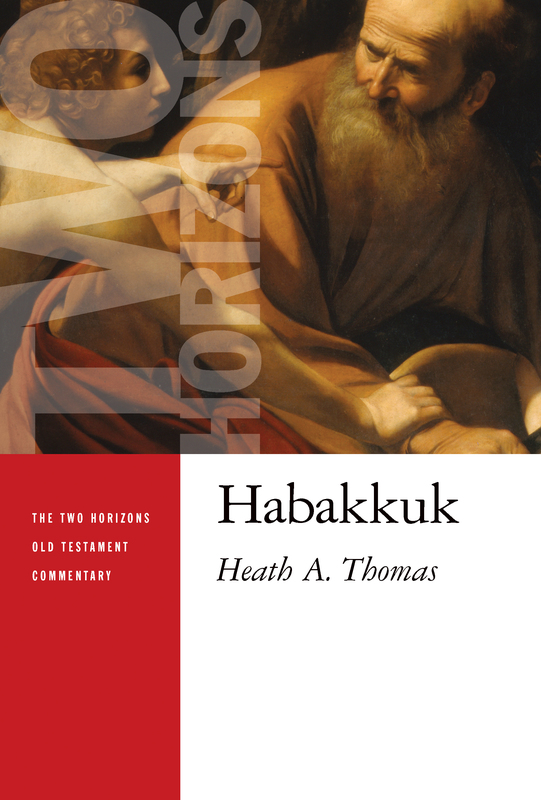 Finally, Habakkuk in the Two Horizons series enables two extended theological reflections. After working through the substance of the book in a verse-by-verse exegesis, after exploring Habakkuk’s fit within the Old Testament and New Testament, the volume assesses how Habakkuk generates thinking on prayer and spiritual formation. These crucial reflections provide shape for practice of conversation with God (prayer) and the crucible of being conformed in the image of God’s Son (spiritual formation). Imaginative and generative in their construal, these reflections draw in the thought of René Girard, Hans Boersma, Martin Laird, Eugene Peterson, and Henri Nouwen. All told, the book of Habakkuk has much to teach about suffering and complaint, faith and fear, and the fidelity of God in times of trouble. It generates reflection on prayer, peace, violence, and faithfulness. As such, it explores an overlooked Old Testament book in hopes of hearing God’s word for today. Purchase Habakkuk at Amazon.com, Barnes and Noble, Christianbook.com, or your local independent bookstore.